Today I’m embarking on my first mileage run. For those of you who aren’t familiar with the term, a mileage run is flying for the sole purpose of earning points and/or status. The destination is irrelevant, because during a true mileage run you spend very little time on the ground. Like most others things in life, I tend to dive in head first. This mileage run isn’t any different. It may be my first ever mileage run, but I went all out. I’ll basically be living on planes between three continents during the next two weeks. 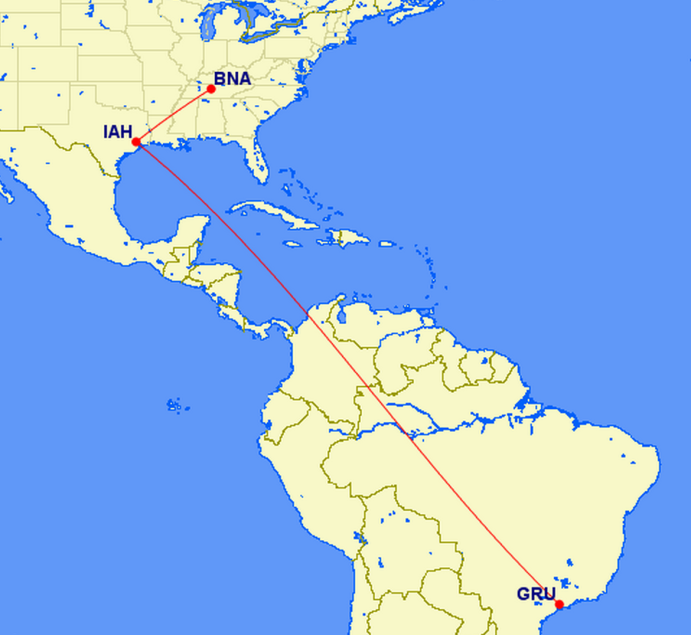 Below is an overview of the routes I’ll be flying, with a total of 92,839 miles over 19 segments. Why Am I Doing This?!?! There are three main reasons I’m going on this epic mileage run. 1. After all of this flying, I’ll earn close to 300,000 American Airline miles. I value these miles at about $.02 each. So I’ll be earning close to $6,000 worth of free flights on American Airlines. 2. By the end of the flights I’ll be Executive Platinum, which is the highest status tier on American Airlines. This comes with all kinds perks! Including upgrades, priority boarding, waived fees, more award availability, and much much more. You can view the full list here if you’re interested. 3. I know some people will think I’m crazy, but I actually think this is going to be fun. I could be totally wrong, but it will definitely be memorable if nothing else! I spend at least 70% of my waking hours behind my computer (mostly working, travel planning, and blogging), so I plan to essentially do the exact same thing I normally do (work on my computer). Except instead of working in my office, I’ll be working from planes and lounges all over the world! The food at international lounges is surprisingly good, and I’ve heard good things about business class food. I’m not a food snob, so I’m actually looking forward to the culinary experience. I’m way behind on current movies because I’m too cheap to go to the movie theatre, and international flights always have a good selection of current free movies! During the next two weeks I’ll be flying through DFW 6 times. DFW is home to one of my favorite domestic airport lounges, the Centurion Lounge. In addition to great food, there’s one thing that really sets this lounge apart… FREE MASSAGES! Every time you visit the lounge you can get a free 15 minute massage! Since I’m flying business class, I’ll basically have my own little bed in the sky. After flying multiple 10+ hour economy flights and trying to sleep sitting up, I’m really looking forward to this luxury! Last but not least, I promised Kara that I would take some Lounge Laps every time I landed. She’s worried that all of this flying (and lack of exercise) is going to be unhealthy for me. So, I promised to walk some laps around the lounges when I’m on the ground. 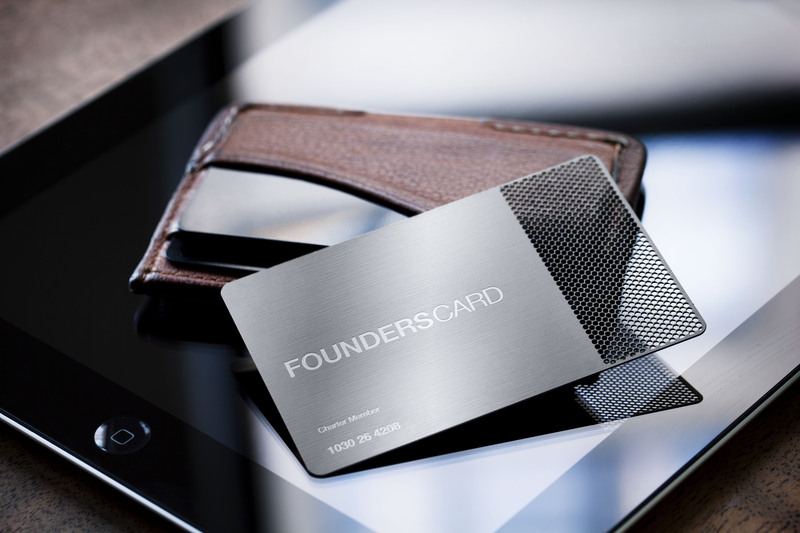 Earlier this year, I signed up for the Founders Card because they were running a promotion with American Airlines. If you signed up for the Founders Card, you could get American Airlines Platinum Status for 3 months, AND if you flew 10,000 miles with American Airlines during those three months you could keep your Platinum status through the end of the 2017. I’ve never had status on an airline, and it seemed like the next step to level up my travel hacking hobby. So my plan was to sign up for the Founders card and figure out the cheapest way to fly to 10,000 miles before the end of October. Since Kara and I didn’t have any travel planned, I needed to find a mileage run. Luckily, there are entire forums and websites devoted to finding mileage runs. Finding a good mileage run is all about finding a flight with a low cost per mile. For example, a round trip flight from DFW (Dallas) to HKG (Hong Kong) is 16,246 miles. Let’s say you found a good deal on this flight and the cost was $600. Your cost per mile would be $600/16246 = $.037 per mile. After signing up for the founders card, I started looking for a mileage run. In case you’re interested in doing the same, here are few websites I used to help me find my mileage run: secretflying.com, theflightdeal.com, and flyertalk.com. One fateful day towards the end of August, I came across a business class mistake fare from Sao Paulo, Brazil to Hong Kong. These business class flights were pricing out ridiculously cheap, and since Sao Paulo and Hong Kong are basically on the opposite side of the world from each other, the cost per mile was extremely low. To make things even better, these flights were business class NOT economy. I enjoy flying, but flying from Sao Paulo to Hong Kong in economy would be pretty miserable. Business class on the other hand seems far from miserable! I practiced what I preach in regards to mistake fares, which is book now and think later. I’ll spare you the details, but after booking the flights it took about 5 days for things to fall into place, and ultimately American Airlines decided to honor the mistake fares (thanks American!). I’ve had about six weeks to get ready for this trip, which really hasn’t consisted of much more than applying for a Brazilian Visa, and researching all the lounges that I wanted to check out at the different airports. Over the next two weeks I’ll be posting updates here on the blog and on social media. I hope you’ll follow along with me on the crazy adventure!